Home / Feedback / Induction Heater Price what is your target range? Induction Heater Price what is your target range? I want to get a better idea of what a machine like this is really worth to you. I’m doing this in an effort to ensure that the additional work I’m about to put into this project to transform isn’t in vain. 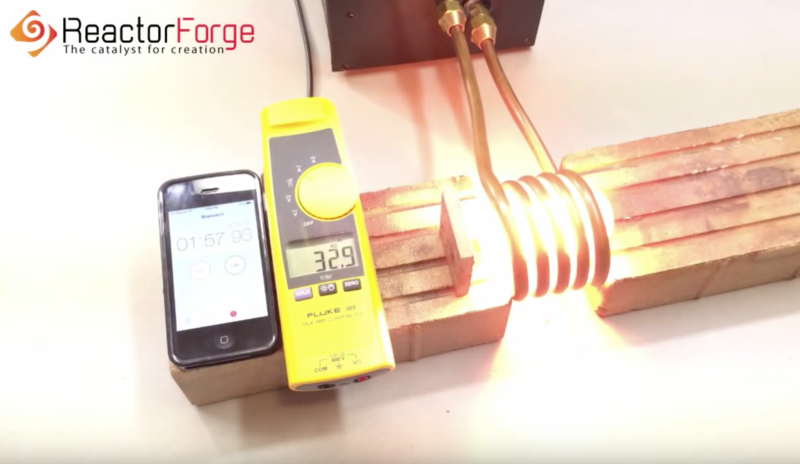 Because an induction heater price can vary wildly and to go from DIY induction heater to a kit or production unit is a big leap. I will be completing this project and making it open source regardless of whether or not making a kit is viable. But before I do go down that path, to kit or not to kit, I’d like to know what it’s true value is. To give you something more concrete to evaluate use the two videos below to get a rough idea of the capabilities of the machine as it relates your needs and use these technical specs. A fully sealed case for protection against debris and dirty shop air. Hackable! Many future improvements possible such as workpiece temperature feedback for reaching very precise temperatures. So what is your target induction heater price? Also, check out The ReactorForge Origin Story to learn more about how this project got started.